When people talk about the greatest soccer players ever, they often mention Diego Maradona alongside Messi, Ronaldo, and Pele. The thing that puts Maradona above others in the conversation is the fact that he basically won the World Cup on his own in 1986. It seemed that the world was at Maradona’s feet, but some believe the man didn’t live up to his legacy. This is the story of Diego Maradona, his rise to success, and where it all went wrong. As a teenager, Maradona burst onto the soccer scene in his home country of Argentina. He played for Argentinos Juniors, and at 17 his country had high hopes of him becoming their World Cup star in 1978. 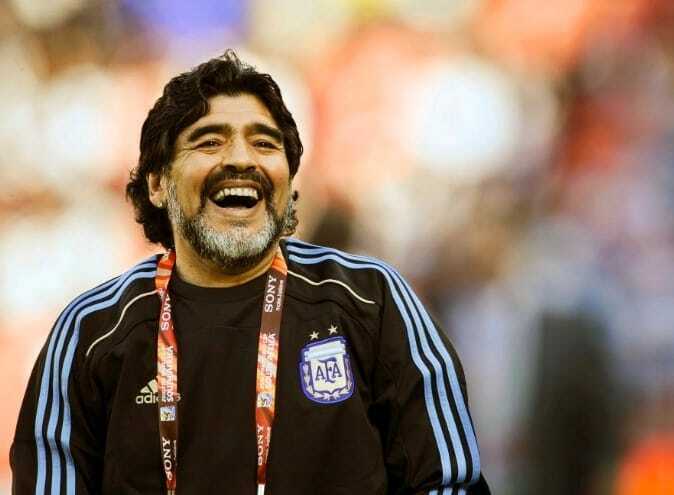 The coach of the national team thought that Maradona would struggle with the pressure of so many people pinning their hopes on him, so left him out of the squad. 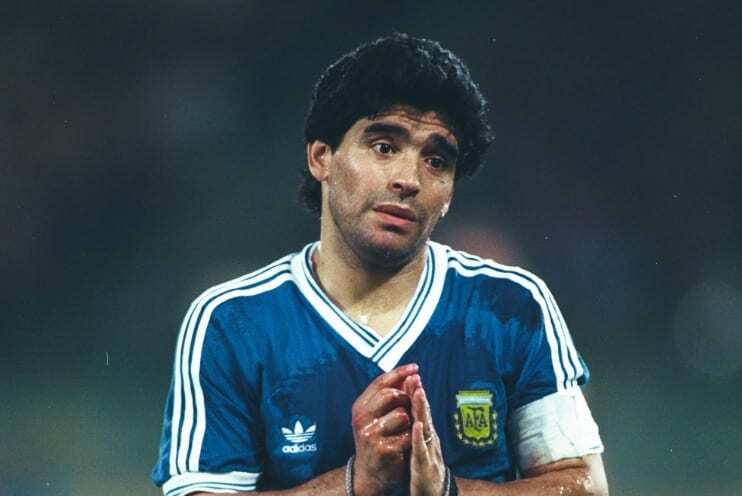 It was a disappointment, but perhaps a good move for Maradona who would show people he struggled with the pressure that came with international stardom. Argentina won the World Cup without Maradona in 1978, but in 1986 they would depend on him. Now 25 years old, Maradona was made the captain of Argentina and was the great hope for his country at the 1986 World Cup. 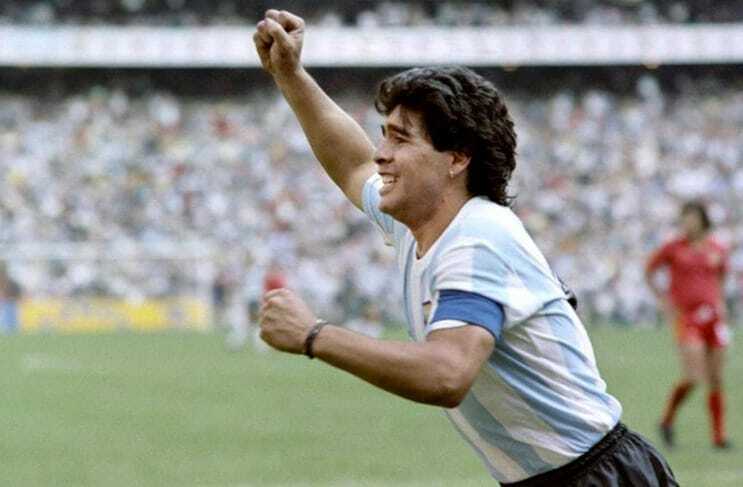 The World Cup in 1986 was the moment when Maradona announced himself to the entire planet. He was named the best player of the tournament as he practically led Argentina to glory all on his own. Maradona scored two iconic goals against England in the tournament that would be forever remembered, but for contrasting reasons. His first was all about his skill and speed as he raced through the English defense with ease before slotting the ball past the helpless goalkeeper. The second goal he scored in that game was full of controversy. Maradona knew the hopes of a nation rested on his shoulders, and he was willing to do anything to win. The small Argentina forward jumped for the ball with the English goalkeeper, but somehow poked the ball into the goal. As it turned out, he literally poked the ball into the net as he tapped it in with his hands. The goal became known as the Hand of God as the officials decided to count it as a valid score. Maradona’s career is best summed up by his two goals against England in 1986. He was both the best player in the world and the most controversial. There were many rumors of his repeated narcotics use toward the end of his playing days and this was evident during the 1994 World Cup in the USA. Maradona scored a goal and came running at the camera with wild eyes that made him look like the lights were on, but nobody was home. At the 1990 World Cup in Italy, he was very clearly swearing in Spanish at the camera as his team lined up to play the final against West Germany. There were elements of a tortured genius about Maradona, and as his playing career ended, the wild stories kept on coming. Pele and Maradona are considered two of the best players ever, but they have a seemingly deep disliking for each other. They regularly sling mud at each other to score cheap points whenever someone asks them about the other. Maradona believes Pele was not even in his league and that players didn’t even try against his Brazilian rival. Maradona was fed up of the attention he was getting from reporters and the paparazzi at the 1994 World Cup and decided he would shoot some of them. The Argentinian legend took an air rifle and fired at reporters camped out near where he was staying, injuring some of them in the process. By 2000 his frustrations had not disappeared, and he escalated things further. Maradona was accused of punching and breaking a photographer’s car window due to the constant intrusion he felt on his life. Maradona had been the reason why Argentina won the World Cup in 1986, and he returned to manage them before the 2010 tournament. It was a struggle to get Argentina to the tournament, and when they got there, they underperformed. People expected Argentina to win due to the talents of Messi, who was labeled the next Maradona. Having Maradona mentor his second coming was surely a recipe for success, but his lack of tactical knowledge was exposed as they suffered a humbling defeat to Germany. Maradona and Argentina were no longer a match made in heaven. He has since been seen closely following his country from the stands when they make it to the World Cup, but his actions have made people worry about his health. Maradona even fell over while overindulging in a celebration after Argentina scored a goal at the 2018 World Cup. Diego Maradona is widely considered to be one of the best players ever to kick a ball, but his actions later in his career have taken the shine off. His reputation has struggled to recover following many allegations and ill-advised actions to the point where his status as soccer’s greatest is under threat. The post The life of Diego Maradona appeared first on Sports Retriever.